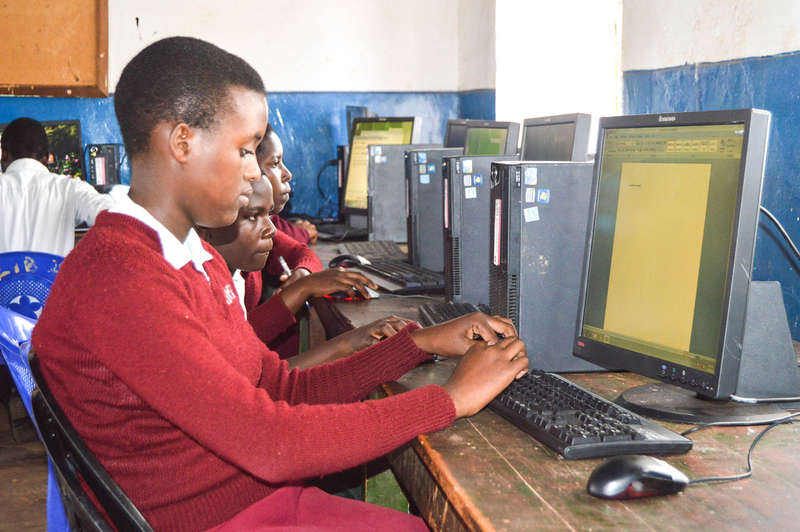 The Turing Trust supports education in Sub-Saharan Africa by reusing computers and improving teacher pedagogy. It also provides skills development in the UK, reduces waste and contributes to en environmentally friendly society. It was founded by Dermot’s son, James Turing, to support schools in Ghana, Liberia and Malawi with over 4000 computers delivered to date. The Turing Trust aims to bridge the digital divide in sub-saharan Africa and ensure all have access to technology-enabled education in honour of Alan Turing’s legacy. Handover of the SolarBerry to the community at Choma, Malawi. June 2018.